This article is approximately a 5 minute read (plus 30 second video), but it’s filled with research-based facts that may help your business. So take a quick break and enjoy! A COMPANY’S SUCCESS DEPENDS ON THE MORALE OF ITS EMPLOYEES. Productivity. Performance. Efficiency. It all starts with a dynamic workforce that is created and cultivated by seamless daily operations, opportunities for growth, and staff appreciation. Acknowledging the hard work exerted by your team is key for any leader. Not only does it encourage a higher standard of performance, but it will lead to higher customer satisfaction and yes, higher profits. FORBES has published research showing that 70% of U.S. companies offer employee wellness programs! ACCORDING TO A RAND CORPORATION STUDY, EVERY $1 INVESTED IN OVERALL WELLNESS EFFORTS YIELDS A RETURN ON INVESTMENT OF $1.50. Wellness programs deliver the strong message to employees that their well-being matters as much as their ability to produce results. The tech industry has led the way in modernizing how companies approach employee wellness with dazzling success. Who wouldn’t want a giant slide next to their desk? But we are not all Google or Facebook. So how do you stay ahead in employee productivity and wellness, without having to break the bank and build a Silicon Valley-style indoor amusement park for your employees? For your next employee recognition event, why not do something different? UNHAPPY WORKERS COST THE U.S. UP TO $550 BILLION A YEAR. Why not try an activity that has a litany of research-proven physical and mental benefits for your team? Most of all, why not try something fun? 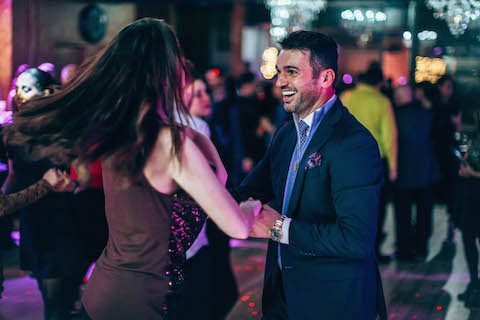 Ballroom dancing is socially interactive, expressive, and dynamic, which leads our senses to fire on all cylinders. Not to mention the enormous benefits ballroom dancing has to offer in the areas of confidence, etiquette, and empathy. All of which are crucial for a company to function well. Still not convinced? Well, we’ve broken down the facts. Our brain is composed of a complex network of neural pathways. The more connections we make between various ideas and activities, the stronger our brain becomes. “Dancing integrates several brain functions at once — kinesthetic, rational, musical, and emotional — further increasing your neural connectivity,” as one Stanford article explains. Plus, ballroom dance requires quick decision making in regards to physical coordination, rhythm, and social awareness. Quick decision-making bolsters intelligence. 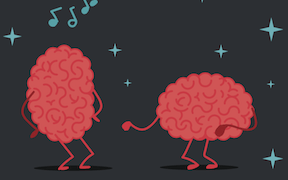 So while you’re dancing to your favorite song, your brain is getting a serious workout. Beats doing crossword puzzles! According to Harvard Business Review, “Social time turns out to be deeply critical to team performance, often accounting for more than 50% of positive changes in communication patterns.” You need a team that knows how to work together cohesively, and move in the right direction, at the right time…right? Well, ballroom dancers need the same symbiosis. You trust that your partner will step back with their left leg so you can proceed forward with your right, and vice-versa. A basic step like this exemplifies a cohesive and trusting partnership, a fundamental element essential to any successful team. Any employee that is expected to sit in front of a computer screen for eight hours at a time, and function well, is fighting a losing battle. Humans have evolved to move! WebMD advocates that movement stimulates the body to release chemicals called endorphins, which interact with receptors in our brain to trigger positive feelings within the body. Its scientifically proven that if we feel good physically, we can perform better intellectually and emotionally. Dance will keep your employees’ blood, mind, and ideas flowing, leading to a better quality of work. Don’t believe us? Just ask them how they feel after one lesson! Investments in combating diseases like obesity in employees have shown a return of up to $3.80 on every $1 spent! 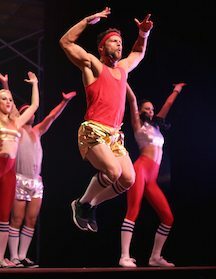 Dance is a low-risk, low-weight bearing activity that has varying levels of intensity, appealing to a range of bodies and abilities, especially beginners. No matter where you start, dancing can be a serious full-body workout! Plus, ballroom dance improves posture, a huge problem for the modern workforce. Why does this matter? Employees who are aware of and who respond to their body’s health needs are better able to work physically and mentally. Dance will get them in a health-oriented mindset. Healthy employees also mean lower health costs, ultimately saving your company money. In business, body language and self confidence can often be the difference between success or failure. Dancers are trained to be masters of both. As you dance, you increase self-awareness by monitoring how your body is moving. This leads to a stronger presence, and builds self-confidence. 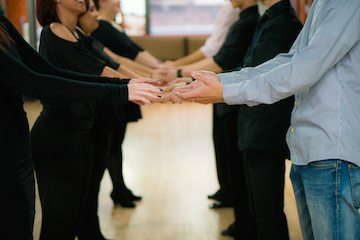 Also equally important, Psychology Today supports that putting your employees in an unfamiliar setting with a foreign task, such as ballroom dance, will enable them to try something new and expand their comfort levels. This mentality will transcend beyond the dance floor and outside the box. Top performers are always more confident. A more confident team leads to higher output and productivity. According to Steve Jobs, “If you’re gonna make connections which are innovative…you have to not have the same bag of experiences as everyone else does.” Drawing parallels between unrelated topics can lead to amazing innovation. New, innovative ideas draw a line between an output of work that’s considered mediocre, and that which is considered exemplary. 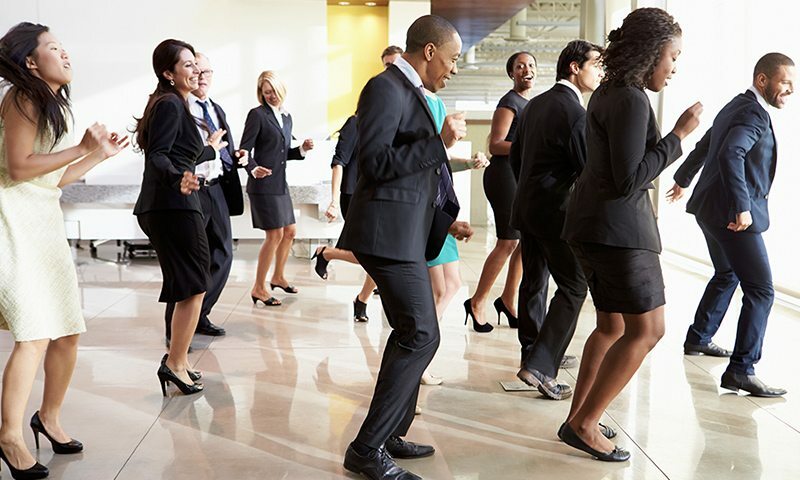 Exposing your employees to a creatively expressive task, such as dance, will stimulate the flow of creative juices and challenge their minds. Give them a brand new outlet to explore. We touched upon this earlier. It’s crucial that employees feel that their hard work, perseverance, and dedication are noticed and most importantly valued. Teaching them a new skill, such as dancing, could be a unique way of saying “Thank you!” and rewarding them with a good time, as well! That leads us to our final and often overlooked reason. Trade in your typical, go-to idea of rewarding them with bagels and donuts for breakfast, for a day of ballroom dance…with bagels and donuts for good measure… and coffee! It’ll flow better into their bodies and minds, for all the reasons mentioned aboved. Trust us, it’ll earn you bonus points in their eyes. You can’t go wrong with dance. Plus, you’ll get to show off your team’s new moves at the next company party! Interested in seeing how dance can help your company? Contact us here. THESE COMPANIES HAVE TRIED THE DANCING TREATMENT TOO, AND THEY LOVED IT! Anderson, Lane. “Mind Your Body: Dance Yourself Happy.” Psychology Today. 1 July 2010. Web. Baer, Drake. 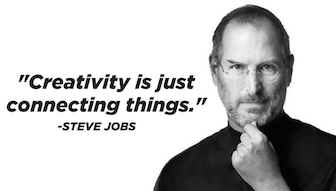 “In 1982, Steve Jobs Presented an Amazingly Accurate Theory about Where Creativity Comes from.” Business Insider. Business Insider, Inc, 20 Feb. 2015. Web. Bhandari, Smitha, M.D. “Exercise and Depression: Endorphins, Reducing Stress, and More.” WebMD. WebMD, 24 Feb. 2016. Web. Kokemuller, Neil. 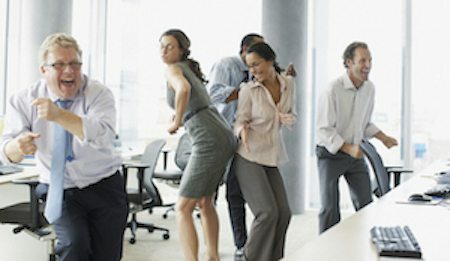 “The Benefits of Good Employee Morale at Work.” Work.chron.com. Chron. Web. Olsen, Pat. “Team-Building Exercises for Tough Times.” Harvard Business Review. 25 Mar. 2009. Web. Oswald, Andrew J., Eugenio Proto, and Daniel Sgroi. 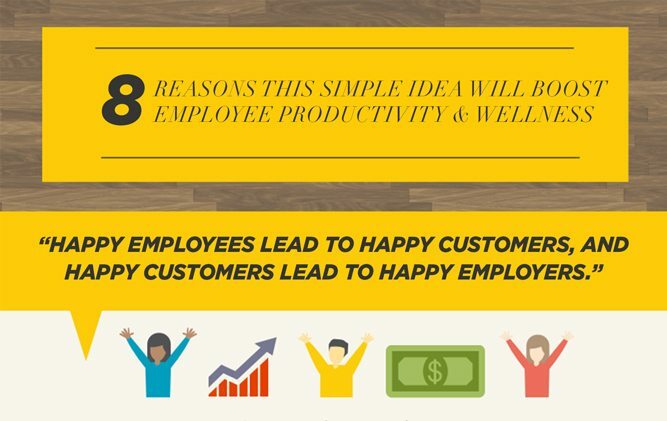 “New Study Shows We Work Harder When We Are Happy.” Happiness and Productivity. University of Warwick, 10 Feb. 2014. Web. Pentland, Alex “Sandy” “The New Science of Building Great Teams.” Harvard Business Review. Apr. 2012. Web. Powers, Richard. “Use It of Lose It: Dancing Makes You Smarter.” Socialdance.stanford.edu. Stanford, 30 July 2010. Web. Valet, Vicky. “More Than Two-Thirds Of U.S. Employers Currently Offer Wellness Programs, Study Says.” Forbes. Forbes Magazine, 8 July 2015. Web. Verghese, Joe, M.D., Richard B. Lipton, M.D., Mindy J. Katz, M.P.H., Charles B. Hall, Ph.D., Carol A. Derby, Ph.D., Gail Kuslansky, Ph.D., Anne F. Ambrose, M.D., Martin Sliwinski, Ph.D., and Herman Buschke, M.D. “Leisure Activities and the Risk of Dementia in the Elderly — NEJM.” New England Journal of Medicine. 19 June 2003. Web. I very much would like to join a group. I love dancing. My partner refuses & I feel if he comes with me he’ll be forced to join in. Please send me your information so I can see your hours, location, & prices for group lessons. You don’t need a partner or any experience. We’ll make it fun and easy. We have reached out to you via email but you can always contact any of our locations directly. I like how you said that team building activities can help teams form cohesive and trusting partnerships, which are fundamental elements essential to any successful team. 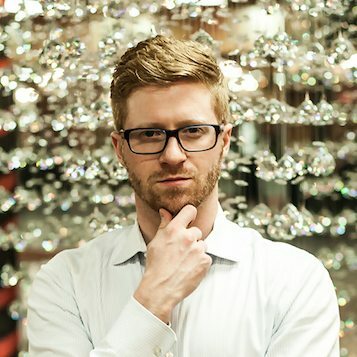 My friend owns a business, and he is considering having a corporate team building event with his employees for the holidays. I’ll have to recommend that in order to build team unity and cohesiveness, he find a corporate team building events business in his area, where he can take his employees to be able to practice essential teamwork skills in a fun, holiday environment.